The Nigeria Customs Service (NCS) Tin-can Island Port, Apapa Command, said it generated about N31.8 billion in August, against N28.6 billion earned in the corresponding period of 2017, a difference of N3.2 million. Similarly, an ultra- modern canteen and a mini sports pitch was also opened to boost fitness of officers. 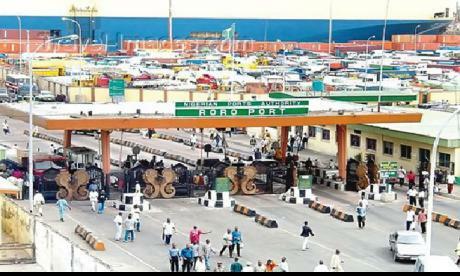 The Customs Area Controller, Comptroller Musa Baba Abdullahi, while conducting the Zonal Coordinator round the facilities, noted that the projects are in efforts to re-position the Command to an enviable height, to enhance its status as the most user-friendly port in the sub-region. “As the name connotes, stakeholders are enjoined to take advantage of this, especially for the facilitation of legitimate trade,” he said, adding that the centre will house Query and Amendment (Q & A), Valuation and CIU, for the synchronisation and harmonisation of trade disputes. He further congratulated the Area Controller for embarking on projects with considerable significance to the well-being of the officers. He particularly eulogised the management and staff of Seven Up Bottling Company Limited, for donating a synthetic mini pitch as part of its Corporate Social Responsibility (CSR), noting that it will serve the sporting needs of both officers and their esteemed stakeholders. Meanwhile, the Command has also trained the Association of Nigeria Customs Licence Agents (ANCLA), on End User Certificate (EUC) documentation guidelines and requirements. The Customs Area Controller emphasized the importance of EUC as a regulatory document, and urged importers/and or their agents to ensure strict compliance with the processes and procedures in the interest of national security. The zonal coordinator also emphasized the need for stakeholders to build effective partnership by supporting and enforcing Federal Government’s fiscal policies in terms of trade, while reiterating his commitment to rewarding compliant declarants, and to sanction complacence.